Eat as the Romans did! Great food and wines make this causal, laidback restaurant a favorite in the San Francisco foodie crowd. This was the it restaurant for a while. It is damn good, but too hard to get into and not quite living up to the hype. Go with real expectations and you&#039;ll love it. Lunch is also a great choice. 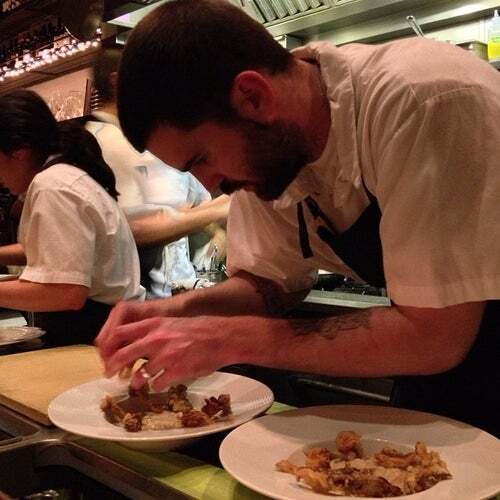 SPQR boasts amazing food and terrific service. You can easily make a meal with the wide variety of small plates/starters. The ingredients are fresh, local, and seasonal. The wine list is extensive. But the professional, friendly staff is helpful in guiding you through the offerings. I love sitting at the chef's bar and watching one tasty dish after another come out of the tiny kitchen. Note that the dining room is small and can be noisy. Definitely get reservations.